As you may have seen from one of my recent blogs, I spent the summer and autumn last year learning some new skills. 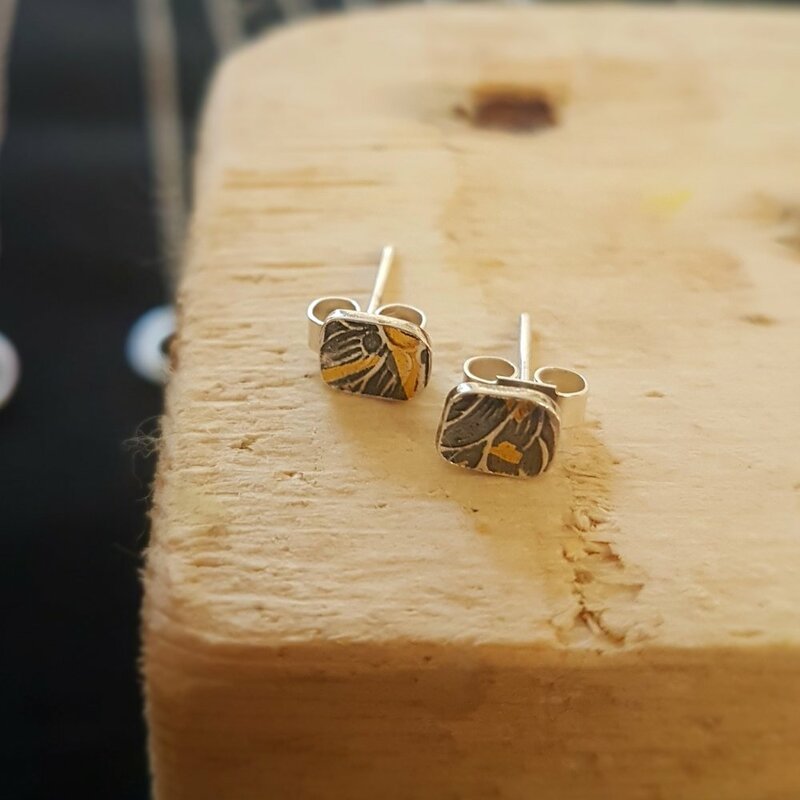 As a jewellery maker, I am always intrigued by other jewellery making techniques (there are so many!) and even other crafts which can be incorporated into jewellery. In November last year, I found myself on a lovely day out at Gearies in Gants Hill doing a keum-boo class run by my inspiring and ever-patient jewellery tutor, Deba Mcdonald. If you are not familiar with keum-boo (and why would you be? ), I shall tell you what it is! See the photos of a couple of pieces I played around with, texturing the fine silver, layering up the gold foil and then oxidizing the silver to make the gold just pop. I have used some of these hunks of silver to make into simple textured stud earrings..but I have some more up my sleeve... watch this space! Click here for a browse of amazing courses run by the Redbridge Institute and, in particular, the jewellery classes taught by Deba McDonald.